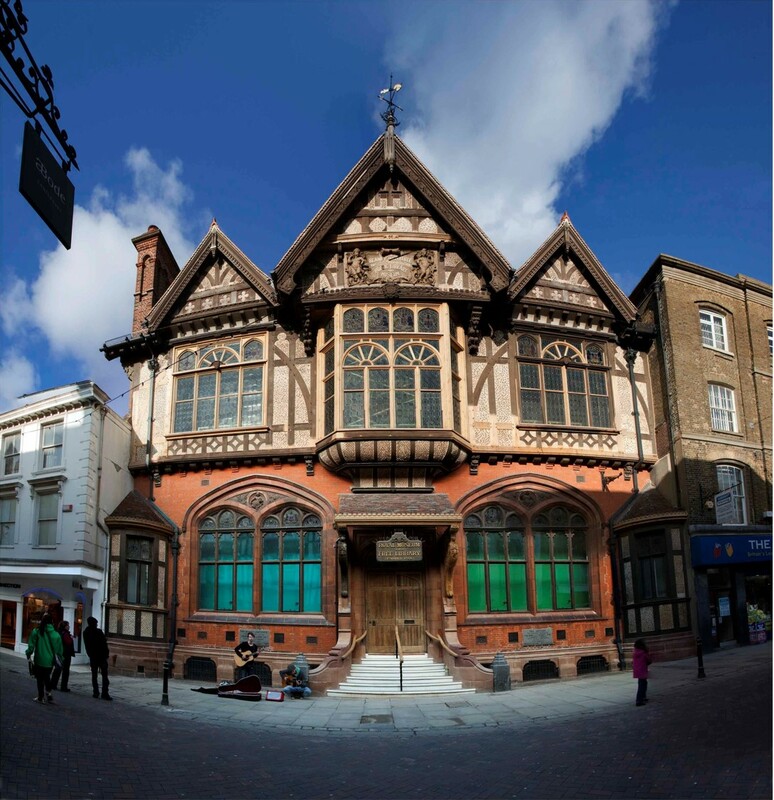 The Canterbury Cluster’s involvement in Sensing Culture, including Canterbury City Council Museums & Canterbury Cathedral (CCCM), has been led by Beaney House of Art & Knowledge. The Beaney is a Grade 1 listed building, containing nationally important collections of fine and decorative art, natural science, social, world and local history material. Canterbury Cathedral is part of Canterbury’s World Heritage Site and attracts over 1 million visitors a year. The building and its collections are of international importance, with documents and artefacts dating from the 9th century onwards. We wanted to encourage blind and partially sighted visitors to access our collections, and experience two dimensional pieces of art in new ways. Prior to the project we didn’t have the resources to prioritise working in this way. Musician Richard Navarro, and an A-level student physicist, Cal, both worked on the music strand of the ‘Art of Making’ project, running free creative sessions, for people with sight loss. Together they created the unexpected outcome of the Beaney Butterfly Music Machine. This is a device which holds original music and sounds created in response to artworks in the Beaney Gallery. When placed in front of the artwork a user can trigger the sounds by moving their arms in front of the picture: this movement is picked up by sensors on the machine, which then plays the corresponding set of sounds or music. The Beaney Butterfly Machine is an immersive interpretative tool which engages a user with artwork by creating a physical link to the piece and triggering an emotional response through the musical interpretation. The music was written by local primary and secondary school students, including blind and partially sighted pupils, as part of the Art of Making workshops. BPS visitor using the Machine. Build a team of experienced and invested volunteers who work with you during the project and then can help create further outcomes. Be open to, and explore potential opportunities; you never know what will happen as a result of a dynamic project. For us, the Arts Award was a way of making the experience last. Don’t be afraid to experiment with technology – if you’re not an expert, find someone who is.